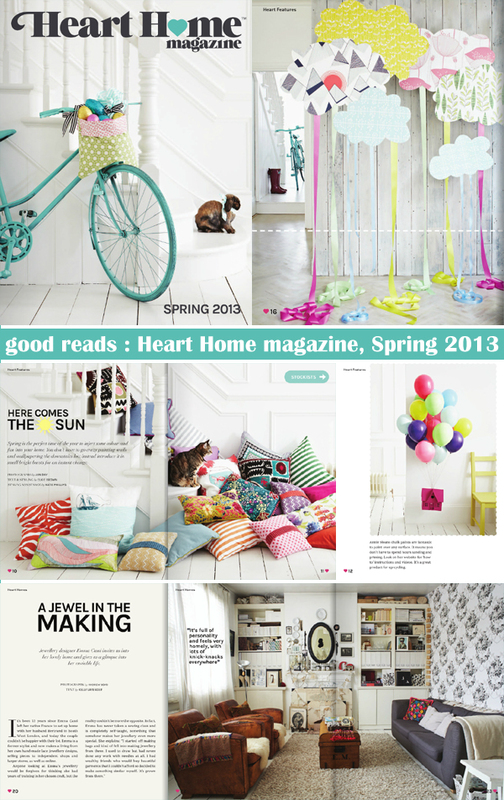 The new issue of Heart Home magazine is out this week, have you seen it yet? If not you might recognise the colourful shoot in the first few images as Holly showed a sneak preview of them over on decor8 earlier in the week. I haven't read the whole issue through yet, saving that for a few quiet moments over the weekend, but these are a few pages I have read and am completely in love with. The said colourful photoshoot, especially the wallpaper clouds and that amazing pile of pillows - no surprises there! Three lovely but very different home tours, one each with Emma Cassi, Lou Rota and Nina Holst. 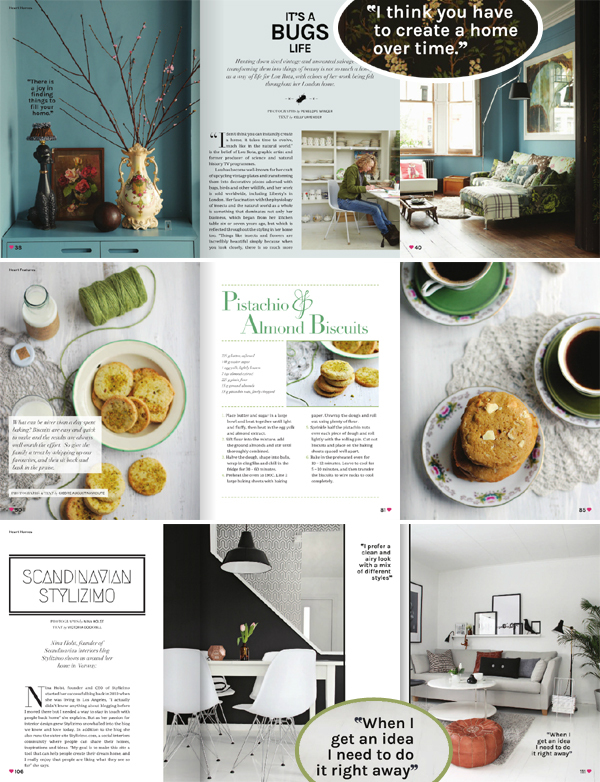 Plus some beautifully styles biscuit recipies, anything with pistachios and almonds gets a big thumbs up from me! I'll be taking a few days off this weekend so won't be back here until Tuesday. Until then happy weekend and happy Mother's Day to all the Mams out there, especailly my Mam! I'm always so grateful for new things to read. With two little ones at home, I rarely get to the Barnes and Noble over here--so I don't always know what's new! Thank you! oh thank you for the tip! didn't know the magazine yet, have to order it , online version looks amazing!